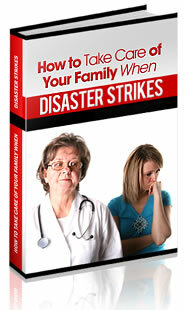 A disaster – whether it is a natural disaster or a man-made event – can strike anytime and anywhere. So it would be best for an urban survivalist like you to be prepared with an emergency bag, containing all the items necessary to help you sustain for at least a few days, away from urban civilization. This is also known as a "Bug-Out Bag" or "BOB". A person can survive without food for weeks. But without any water a person can survive only for a few days. So water is the first and foremost item that should be put into a survival bag. Your minimum water requirement is at least one liter each day. Depending on the number of days you plan your BOB for, you should be able to estimate with reasonable certainty the volume of water that you should carry with you. The second most important item of a BOB is food. Though there's nothing better than the military meals (MRE), most people can not seem to develop a taste for it. For them, the recommended food are the ones with high calorie content (such as energy bars), as they can keep you going with even when small amount is consumed. Another option is frozen dried meals since these products do not require much cooking (only the addition of boiling water), are light weight, and have a long shelf life. Clothing is another indispensable item. It includes three (3) categories of clothes, all of which can easily be layered. First are the summer clothes that provide good ventilation and prevent excess sweating. Next is the second layer that's made up of warm clothes that can get you through the cold winter nights. The third and final layer should be in preparation for the rains. Of course, this should include waterproof clothing. It is best to be prepared for all seasons as you'll never know when a calamity may strike. A first aid kit with basic medical items is next set to go into a BOB. It should include a few basic medicines, antiseptics, some gauze and bandages, needle and thread, and a pair of tweezers. Your next set of items should be your camping gear, which includes the materials to set up a tent as well as a sleeping bag. The last two items on the list are a knife and some lighting material. The litter may include matchsticks or a lighter. They help in lighting fires not only provide you with light but also keep you warm. The knife is probably the most important piece of equipment in your BOB. It is a great tool for hunting food and also as a great weapon for defense in times of emergency. With your bug out bag, you and your family will be able to sustain yourself in times of calamities for as long as possible until help arrives.